A staph infection refers to infections caused to the bacterium staphylococcus. This group of bacteria consists of several strains and there are many different diseases and symptoms that can be caused by them. Staphylococci are circular shaped bacteria that are usually in clusters as seen under the microscope. The symptoms can vary depending upon the location of the infection and severity of the condition. Some of the more severe symptoms are caused by the toxins produced by the bacteria. Some of these symptoms are also signs of fatal conditions and should be treated immediately. Here are the common symptoms of a staph infection. This is the most common form of a staph infection of the skin. A boil consists of a pus filled pocket over an oil gland or a hair follicle. The skin surrounding this area is usually red or swollen. When the boil breaks open it could contain blood or yellow colored pus. Boils can crop up in any part of the body but are mostly seen under the arms or in the groin area. These can also form in the buttock region. This is mostly seen in infants who have lower immunity levels. This is caused when a staph infection leads to fever, rashes or blisters on the skin. It is caused by toxins released by some strain of staphylococcus. When these blisters break open, the skin is usually red and looks like a burn. Thus, the name staphylococcal scalded skin syndrome. This skin affliction can affect people of all ages but is mostly seen in young people and infants. It consists of painful large blisters on the skin which drain fluid when they burst open. The blisters can also form honey colored crusts in some cases. They can also be painful rashes formed. Sores are also seen near the nose and the mouth regions. 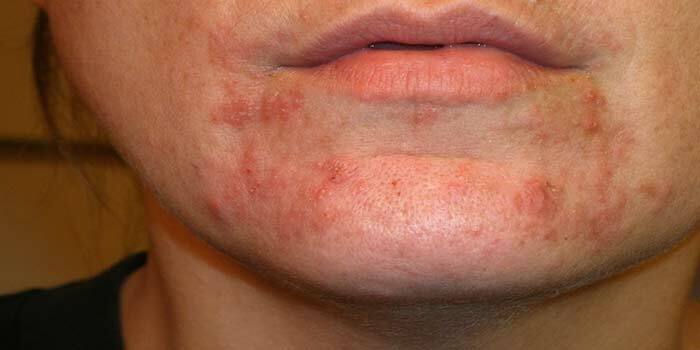 Impetigo is also very contagious, so people who are in contact with patients with this condition must be very careful. They must not share any personal items and must keep all wounds, cuts or rashes covered. This condition is caused when the bacteria enters your blood stream affecting different organs. A fever that is persistent is a common symptom of bacteremia. When the bacteria travel through the blood stream, they can affect several internal organs by causing infections in them. They can also disrupt functioning artificial joints or pacemakers. The infection can be severe if found in the heart, lung or brain region. This is can sometimes be a fatal form of the infection. It is caused only by a few particular strains of staphylococcus. It is caused by certain kinds of skin wounds, surgeries or even the use of certain types of tampons. It can develop suddenly with the emergence of high fever or a rash on your palms and soles that resembles sunburn or even nausea and vomiting. Sometimes it can even develop with the following symptoms, confusion, seizures, headache or muscle ache.